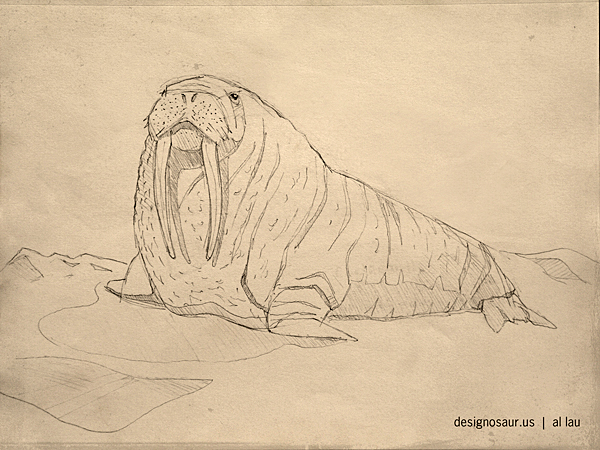 I spent some time in the Florida, documenting various wildlife with photography and drawing. I was most anxious to see an alligator in the flesh… err, in the scales, rather. It would have been a shame to go all the way to Florida and not see gators. Well, the Everglades has an abundance of these smiling massive reptiles, basking in the sun. They are practically posing for you. Still, alligators are not the only exotic animals to see. Visitors from everywhere come here to experience world-class bird watching. I come here more to fish watch and reptile watch. My next priority after seeing gators was to spot turtles. Again, this National Park did not disappoint. I saw dinosaur-sized turtles. 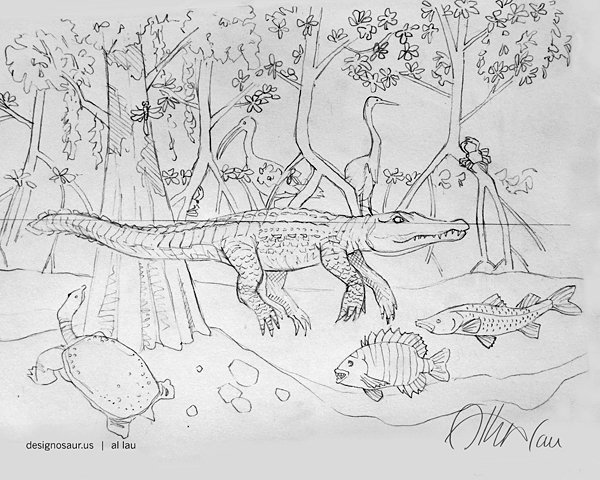 Here is my sketch (a work in progress) which is a snapshot of an Everglades scene. 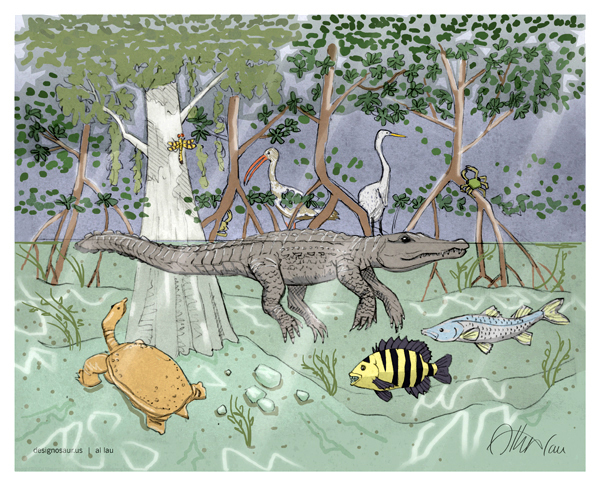 It includes mangroves, a soft-shelled turtle and of course, a gator. The proximity of this many animals in one area is really not unheard of, in the Glades.